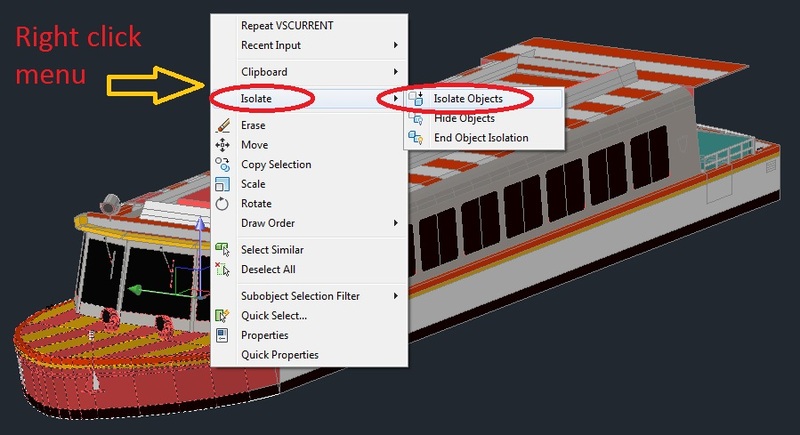 New in AutoCAD 2011 is the ability to hide or isolate objects that you select. This is a very simple, yet powerful tool that is especially helpful for working in 3D. 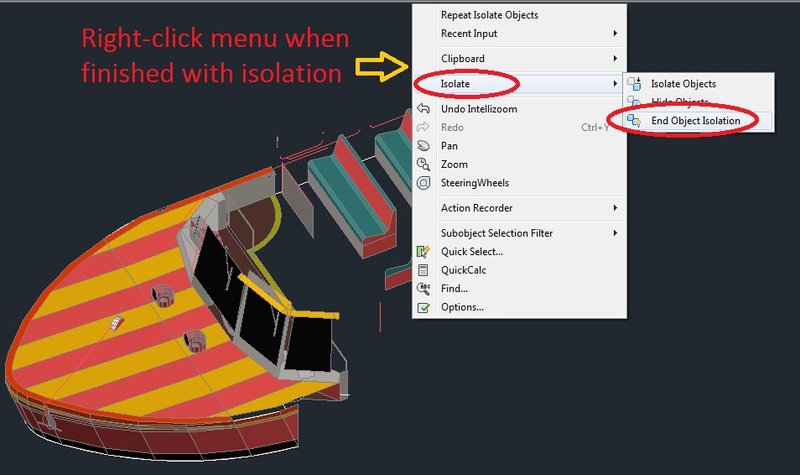 After hiding/isolating, you can easily orbit and position your view so that you can more easily work on your 3D model. Make a selection set of the objects that you want to either isolate or hide. In the following example, I use the “Isolate” option. Right-Click and click the “Isolate” fly-out. 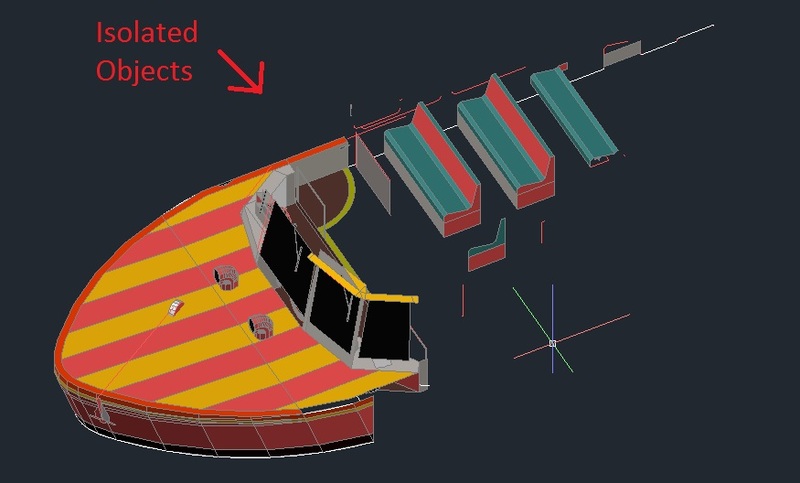 As you can see below, everything except the objects that were previously selected have been hidden, giving you easy access to work on your 3D model. You can now go back to editing your full 3D model.